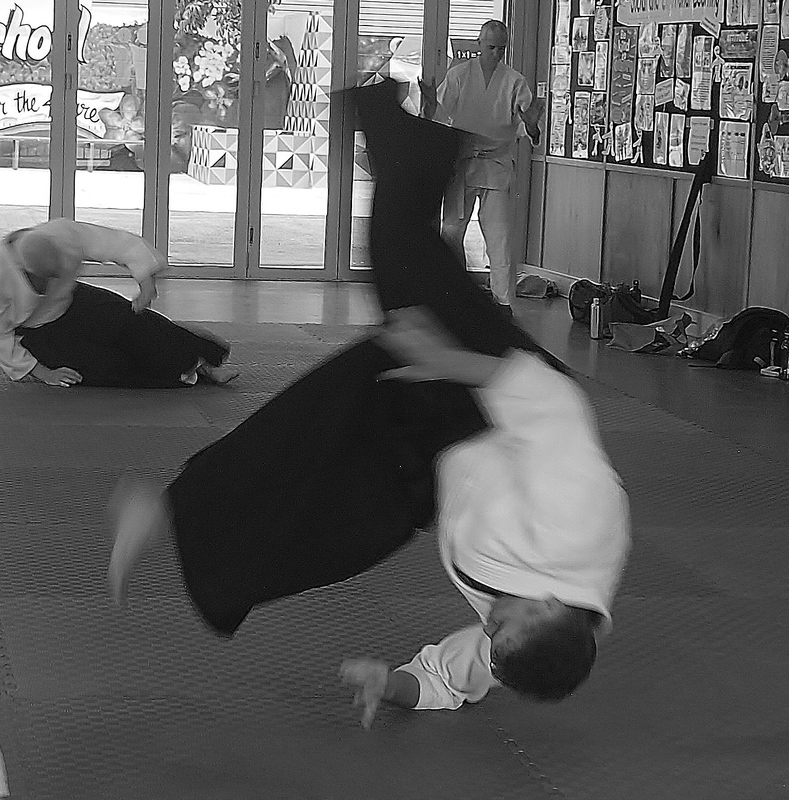 After 6 weeks of usually being no more useful than a ceremonial hood ornament at the dojo and finally on Friday getting a medical clearance for “light admin duties”, today was the day I had been waiting for – the chance to get back on the mat for an attempt at some serious training. I wasn’t sure how I would go after 2 abdominal surgeries and some major scar tissue still on the mend, but I figured it was time to give it a go and give things a test. Muscle memory combined with some strategic ukemi landings and the occasional gritting of the teeth, kept me in one piece and I had a great time. Big thanks to everyone for making sure I didn’t end up on the receiving end of a front or awkward breakfall, let alone an unexpected strike to the stomach! Those who were there know that Eden dropped down to take some photos. While I think by looking at them I appear to have aged 10 years in 6 weeks – they make a nice addition to the dojo’s photo memorabilia.